Initially the idea of the foundation of a research subdivision in PJSC Transneft was based on JSC Giprotruboprovod, where a scientific research department was established. However, with the growing scope of scientific issues needing solutions in the field of pipeline transport of oil and oil products, the Research Institute for the Transport of Oil and Oil Products (Transneft R&D, LLC) was established on September 3rd, 2009. PTI is not only an institute. Over the years it has become a powerful scientific and technical center; the scientific center of pipeline transport in our country, where current issues are solved in a comprehensive manner and prospective areas of development in the field of oil and oil products transportation are being formed. The activities of the Institute are aimed at developing the scientific, production and technical potential of PJSC Transneft in the spheres of design, construction, operation and repair of trunk pipelines; the performance of research, development and technological works; and the realization of scientific and technical programs. 2015 was a turning point in the history of Transneft R&D when the institute reached a new degree of development. The Institute carried out large-scale works to improve production processes and develop new lines of business, optimize the organizational structure and expenses, attract highly qualified personnel to the institute and improve the system of remuneration. Seven centers and one production-management office were created in accordance with the new organizational structure. 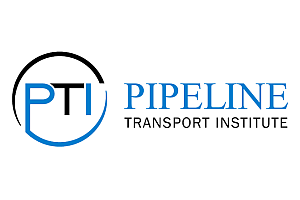 In 2017, the Institute was renamed The Pipeline Transport Institute (PTI, LLC).